options you will want to take when facing foreclosure. You Can Relax and be Assured… Your Best Interests are My #1 Priority! You can check my references. I’m honest and love helping people just like you! I talk you through your options, and provide exactly what you decide you need most. 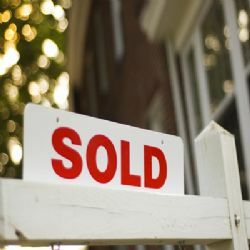 If selling your property is what you decide you need to do, I will provide a fair written offer. (I don’t list your property. I buy it. I am not a real estate agent). If you are a landlord, whether you have good or bad tenants it’s NO PROBLEM! You don’t have to fix-up your home! I will buy it as-is. You’ll save thousands of dollars (no 7% commission, no 3% closing costs). No hassles - No hype! I’m fair, professional and reputable. When you call, you talk to me, not some 24-hour recorded message! I’m an expert at handling: short sales, estates, divorces, bankruptcies, foreclosures, & evictions. I provide a no cost service to walk you through the steps in order to avoid foreclosure. If a quick, all cash sale and/or a no cost short sale negotiation is what you desire, Click Here to provide us with some information so that we may provide a fair offer to purchase your home today. and you will ‘Know Your Options’! Don’t Worry. No one else will receive your info. Get Your Free Report - Know Your Options! If you or someone you know is behind on their mortgage, allow me to provide you with a resource that will help anyone in this situation to avoid foreclosure. Simply enter your name and primary e-mail address to receive a free report listing the exact steps a person will want to take to evaluate their situation and follow directions to avoid foreclosure.